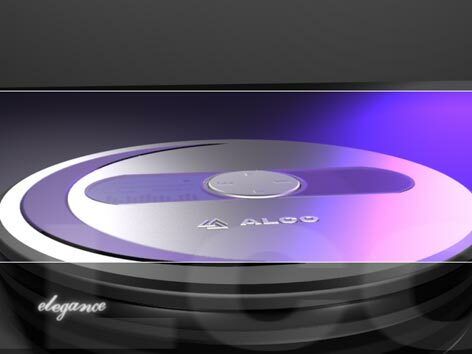 Alco Electronics approached Kenneth Young Design with an interesting project. The company was in the process of marketing North American television programs to mainland Chinese networks. Their process required their salespeople to travel with large briefcases full of bulky VHS tapes. The idea was simple: if they could put promotional video clips onto an interactive VCD (a popular medium in China), they would be able to greatly simplify the lives of their salespeople. The VCD we created consisted of a brief (14 second) animation that engaged the viewer with beautifully rendered computer generated 3D graphics that enhanced and reinforced the Alco brand name. A dynamic, looping menu system with full motion video then allowed the user to select a video clip using the VCD player remote. The splash animation and menu were then compiled into a finished VCD. If you would like to know more about our video or 3D services, contact us for a free consultation. With all of the "fancy" effects that video software is capable of these days, we believe that the best video still involves consistent use of simple transitions that help reinforce the subject material—not distract from it. We won't design videos with transition effects like a page flying off into the distance, cheesy wipes or rotating 3D cubes—unless a specific situation would benefit from such an effect. (If you watch TV or other professional productions, you will almost never see transitions of this nature.) Our videos are always very professional in appearance, using consistent transitions and title styles throughout, and "special effects" only when they add value to the final production.